It’s an unavoidable fact that all babies cry. However when babies cry with colic, the gruelling demands of a screaming baby and the mix of emotions felt by parents can take their toll. Parents feel helpless and frustrated not knowing how to help their inconsolable baby, they feel exhausted from a lack of sleep and the whole household is often disrupted. Fortunately homeopathy has some excellent remedies to help with colic pain and problems of assimilation and digestion. Colic can occur in infants anywhere from 2 weeks to 5 months old, however I have seen babies in the clinic suffering from colic for longer periods. Infantile colic is described as episodes of irritability and excessive crying in otherwise healthy infants thought to be due to spasms of the intestines. During the periods of spasmodic pain, a baby with colic often arches the back or will draws its legs up the stomach. The abdomen can be extended and hard, they may pass wind and the face can be red or pale. Parents may notice that the colic episode ends after the infant burps or has a bowel movement. It is important to get your baby checked out by a doctor to rule out any serious underlying issues. 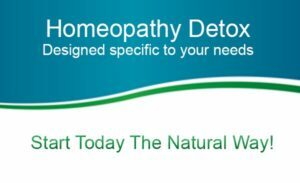 How can Homeopathy help an infant with Colic? In homeopathy our aim is not only to help relieve the baby’s discomfort but also to strengthen and improve an immature digestive system Using homeopathic remedies selected according to the infants need, homeopathic treatment helps support the baby’s development and accelerate the natural healing. A homeopath is interested to know more than the diagnosis of colic. During a consultation the homeopath will be interested to know the following information to help select a suitable remedy for your baby. Emotionally what seems to help or aggravate the child – being carried, rocked, soothed, or being with company. 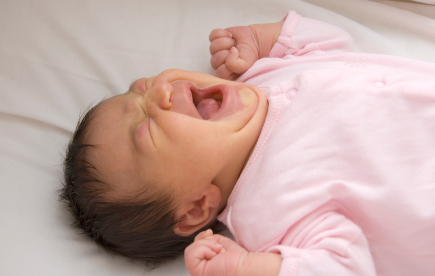 How does the colic cry differ from baby’s other cries, for example when hungry or tired. To explain the difference here are some example homeopathic remedies for colic that may be prescribed where the symptoms fit. An infant needing Chamomilla screams and shrieks with the pain, is cranky, restless, and doesn’t seem to know what they want. 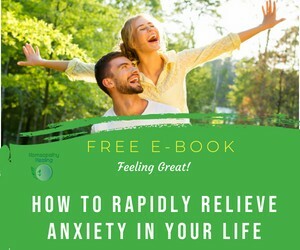 The parents are at their wits end as to how to pacify the child and the only thing that brings temporary relief is rocking or carrying the child hard constantly. Stools may be green and smell of rotten eggs, the abdomen is distended and one cheek may be hot and swollen. This remedy is indicated when a colicy baby arches its back and stretches its legs out with the pain. Holding the baby upright seems to help. Indications for this remedy would be a baby who is bad tempered and draw its legs upwards and inwards with the pain. The abdomen is bloated, the pain is sudden and severe coming in waves. The baby seems to be better when there is firm pressure applied to the stomach such as when it is held over the shoulder or after passing a stool. This remedy may be indicated when the nursing mum has eaten spicy foods or overindulged in food, coffee or alcohol. While colic generally will resolve itself over time, it is of little comfort to exhausted parents listening to their baby scream in pain. Homeopathy offers a solution that can bring rapid and effective relief and parents have reported improvements of the colic within hours, enjoying the full benefits of homeopathy shortly thereafter. What a great way to help an infant during it’s early developmental stages of life. “Sophie suffered with colic after 3 weeks and despite numerous changes in formula and use of every over the counter product that was available nothing seemed to work. I was literally at my wits end with exhaustion and frustration and watching Sophie in so much distress was awful. I visited Eileen on Thursday morning and by the following Monday afternoon Sophie was literally a different child, she was so much more comfortable and settled. She has had dips and Eileen altered treatment each time to improve her symptoms. Sophie is now 8 months old and is doing very well. Without Eileen’s intervention I don’t know how we would have coped, and it’s great to see Sophie well and in good form”.